"If we don't do something quickly, the whole universe is going to be destroyed!" Those that arrive, survi- wait, sorry, wrong show. 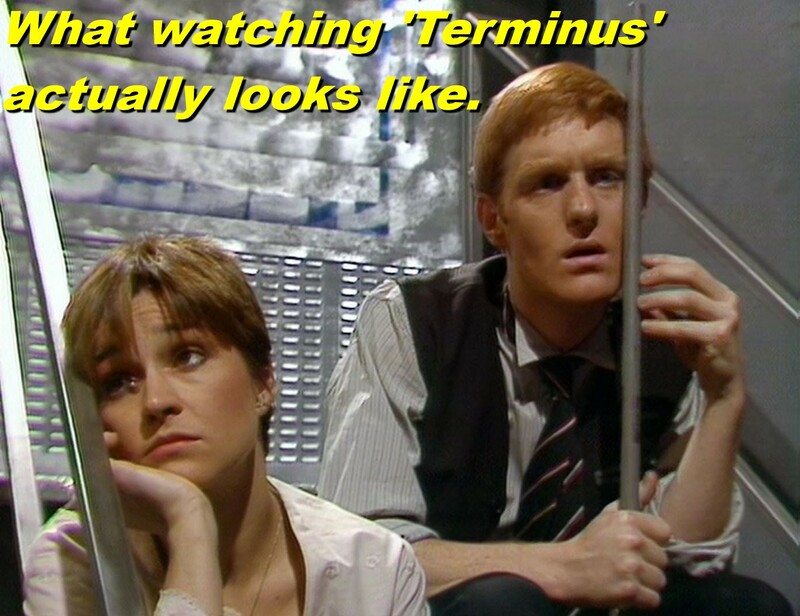 Watching 'Terminus' is a lot like being stuck at a bus or train terminus. That is to say you sit there, often in the cold, endlessly twiddling your thumbs waiting for something to happen only for it to be delayed again forcing you to agonise over whether or not to risk using the public toilets or hold it in until you get where you're going. 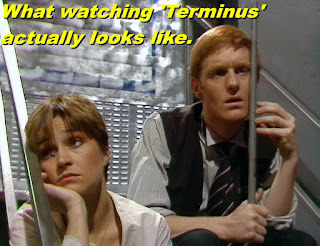 Okay, it isn't exactly like waiting at a terminus, but it is pretty damn close. 'Terminus' is the type of story that is neither good nor bad or even just plain awful. It is pure inoffensive filler (well, mostly inoffensive). It is a story so bland it makes vanilla sound exotic. I have a hard time believing that this forgettable waste of good videotape is from the writer responsible for 'Warrior's Gate', one of the few highlights of Tom Baker's final season. Are we absolutely sure this was written by the same Stephen Gallagher? 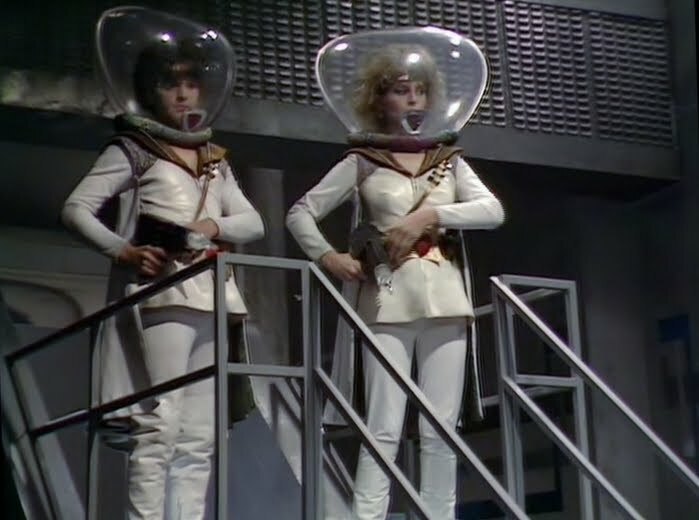 ‘Terminus’ is most notable for featuring the departure of Nyssa. As companion exits go this is one is pretty damn insulting. In order to stir up some excitement, the producers are reduced to stripping poor Sarah Sutton down to her knickers for no apparent reason. I know Nyssa is not one of the most interesting of companions, but even she deserved better than being objectified like this. --Please forgive the shortness of this review, but I honestly could not think of much more to write about this mediocre story. --This is one of those rare stories where no one actually dies. --If a massive dose of radiation cures Lazar's disease what stops the radiation killing you? The Black Guardian: "This is your last chance, boy... KILL THE DOCTOR!" One and a half out of four disgusting examples of female objectification. 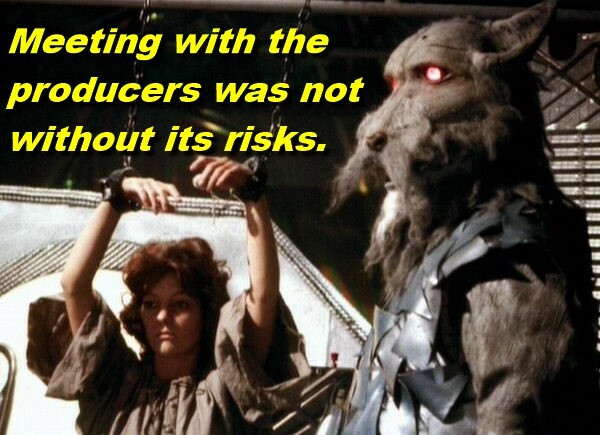 I realise this doesn't cast me in a positive light based on what Mark reasonably pointed out in his review about shameless objectification but to be honest the only thing I recall about this story was Nyssa running around in her smalls. Hey, I was 14! I had no choice in the matter. 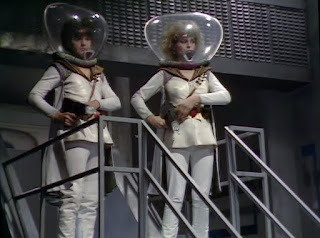 What is completely overlooked are the theological implications of the episode 3 cliffhanger: the Captain jettisoned the radioactive fuel into the void, inadvertently sparking the Big Bang, thrusting the ship eons forward in time. He perished in the process. The Doctor is standing next to the mummified corpse of the being who created the Universe. So basically the show is saying God is dead and the Universe is a mistake. Never mind. Nyssa in her underwear.